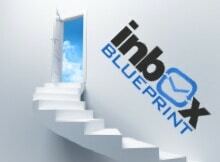 Inbox Blueprint 2.0 Review – Does Anik Singal Inbox Blue Print Really Works? Every now and then there comes an amazing Internet Marketing Product that has created quite a buzz! Today I want to give my Inbox Blueprint 2.0 Review on a product by Anik Signal that has been popular on the market for over a year now. Anik Singal has been in the Internet Marketing Industry for a long time and has made Millions from his proven methods. A lot of my friends and I support him in everything he does because we know that he always provides a quality product to his customers. What I want you to know though is that as I think that you might need to know some more additional information as you’ve been receiving e-mails or you’ve been checking out his free content but now that the program’s actually available you might need some more information to kind of get you over the edge. Firstly I want to tell you just a little bit about Anik Singal. He has been my inspiration for this Inbox Blueprint 2.0 Review. Anik has been in the industry for a very long time, and what’s very interesting about him is that he actually lost everything a few years ago and in my opinion he came back in the Internet Marketing game quite stronger. Now it’s very difficult for a lot of people to do this because the Internet Marketing space is very competitive and difficult. It is estimated at least 95% of internet marketers fail. However what Anik had going for him is that he had a great network and support system. 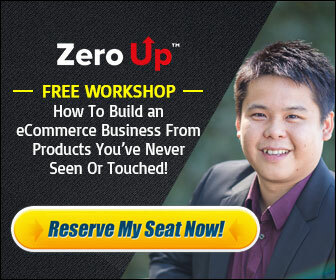 He has a proven strategy that he has being using for basically over 11 years now that has made him a lot of money and that is Email Marketing. In my opinion one of the most powerful things that anybody can do is to learn how to build an e-mail list continuously year after year. The smart successful Internet Marketers have been telling people that it is very important to build an e-mail list. However as there as been more and more emphasis on social media platforms like like Twitter,Facebook, Pinterest, Instagram, Linkedin and Google Plus etc, it has caused people to become less focused in building email lists. Having a sizable email list is still one of the most effective ways for anyone to be successful online. And the reason for that is when you build an email list properly you get your audience’s attention and you have a captive audience that not only will read your e-mails but they will read your blog posts, download your info products and watch your videos. Most importantly they will eventually buy products from you as long as you take care of and nurture that list. It is therefore very important that you learn how to do this properly. What Anik has done is to put together this email marketing course called the Inbox Blueprint that teaches all of his strategies and in this video CLICK HERE you can get a preview of the system and exactly what he is doing. I just want to kind of recap a little bit about what’s inside the Inbox Blueprint Program. Firstly for those interested about the Inbox Blue Print Cost, it’s very important that you know that you can either make 3 payments of $397 or my recommendation is to save $194 and purchase a one time payment of $997 and then you’re in you don’t have to worry about anything. Their credit card system is 100% safe and secure. Here are some really great and actual testimonials from people that have been using this system…. Instant access to the Inbox Blueprint 2.0 Training Program which also includes all the updates over the life of the product. Copy and Paste Templates which Anik has used over the past 11 years in is business. These have made him Millions from Email Marketing over these years. Secret Access to private list of top converting offers that has earned him hundreds of thousands of dollars. Secret Access to his Traffic Panel which includes interviews with Internet Traffic Experts and they will give you access to all the new tips, tricks and techniques been used by them currently. Does Anik Singal Inbox Blue Print Really Works? 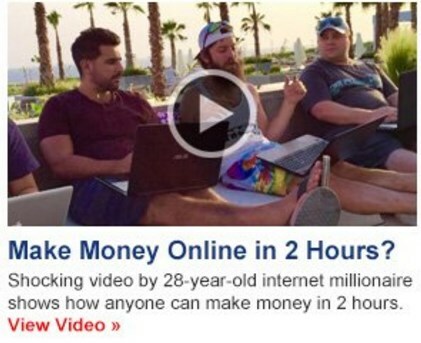 If you are going to build an Internet Business in the long term that scale-able, then this product is for you. That is why i am happy to write this Inbox Blueprint Review. Building an email list takes time but will be very rewarding in the end. I cannot emphasize any more the importance of building a sizeable email list, so to learn how to do so the right and quickest way I recommend Anik Singal’s Inbox Blueprint 2.0. Every Email Marketer has a different twist on how to build an email list, but Anik has a proven method how to do this effectively. You can CLICK HERE to get quick access (for a limited time depending on space available) to the Inbox Blueprint. Thanks for reading my Inbox Blueprint 2.0 Review and I hope you take action today towards the journey of success!